Substantially renovated & meticulously maintained 5 bedroom executive residence nestled on a professionally manicured 98.79 ft x 170.56 ft. lot on a quiet child-friendly street in South East Oakville. 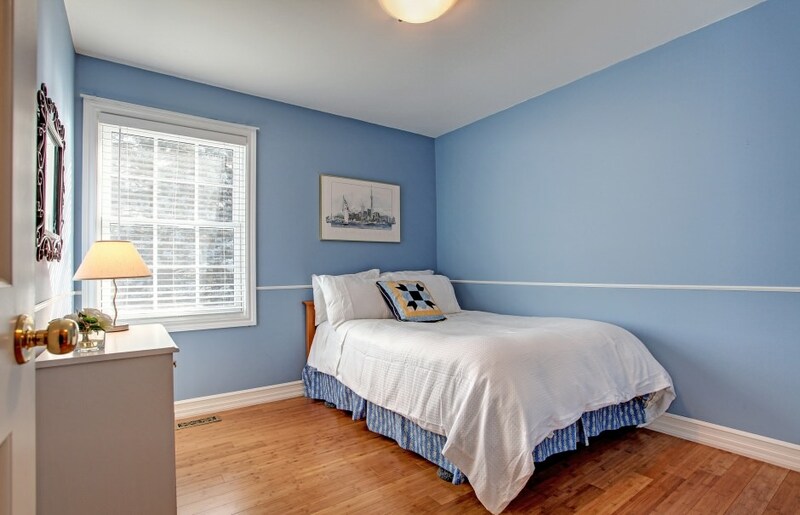 Features include custom maple kitchen, hardwood flooring, main floor den, separate dining room, in-ground salt water pool with safety cover, fully fenced rear yard, perennial & vegetable gardens plus a 3 door - 2 1/2 bay garage. The kitchen and living room flow into a bright great room featuring large windows and lots of natural wood overlooking the gorgeous back yard and pool area. The mature professionally landscaped back yard boasts a spacious patio with paving stones and private covered back porch to enjoy BBQs on a warm summer evening. This 3,000 sq ft residence is located in an established neighbourhood close to Maplegrove Plaza, and area churches and schools. Other features include a modern appliance package in kitchen, LG washer and dryer, a spacious recreation room, a games room and more. Access to the QEW and Clarkson GO Station is relatively convenient from this Warren Drive address.